If you want to express your love, care or affection for someone special it isn’t only about ‘what you say’, but also ‘how you say’ it what makes it special. If this wasn’t true people from florists to those selling gift items would run out of business! As a matter of fact everyone loves to be pampered and you shouldn’t miss the opportunity to pamper your loved one and make them feel special. When you are expressing your feelings you should walk that extra mile just to show the kind of effort you made in crafting the message for that special person. Whether you want to wish someone on his/her Birthday, Anniversary, and Valentine’s Day or even send across a note of apology you must do in a way that it immediately strikes the right chord with the person. 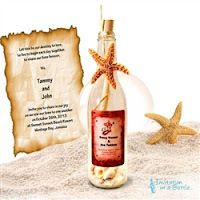 In fact best message in a bottle invitations immediately arouse the kind of emotions you would expect in the recipient and this is exactly what makes separates them from simply expressing your emotions. They are such a unique way of presenting your message that they immediately ring the right bells in the person’s mind. Your message and the bottle it came along with shall be treasured for years to come. And when it comes to wishing them on a special occasion why not write a personalized message in a bottle and gift it to that special person. 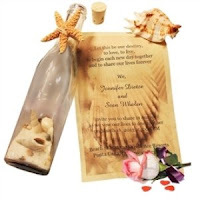 While you may have come across invitation in a bottle, their novelty isn’t restricted to inviting people to celebrate those special moment is your life. They look different from all other kinds of gifts that you can think of and this is what separates them from the crowd. A message that is hand-written in a beautiful piece of paper expressing all your thoughts and emotions. Don’t you have the hidden desire to be pampered by someone who loves and cares for you? It’s the same with your wife, your husband, colleague or a special friend. So, stop wondering about what you should choose to make them feel special. Just pen the best message in a bottle and the expression on their face would say it all.